You can write your personal motivational letter and inspire/influence HR by recruiting you. 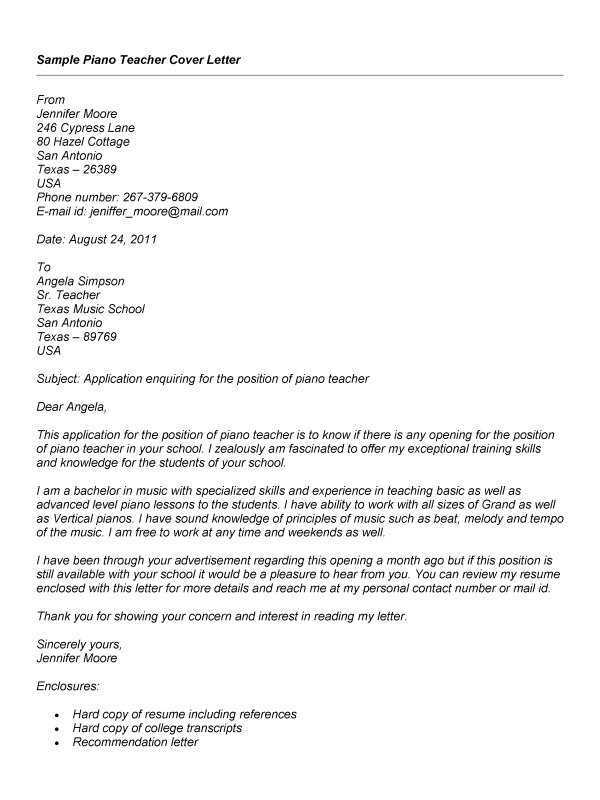 As a piano music teacher job seeker I would like to express my interest to apply for this job since my educational qualification and the work interest aligns with the requirement of this job, I believe I would be given an opportunity of working under your music school. Knowing about this vacancy is just like an opening of the path of my dream as I always wanted to work with such a world class music teaching institutions and I finally got the opportunity to interact with you in this regard and take the first step towards the accomplishment of my lifelong dream. Before I talk about my educational qualification for the application of this job I want to let you know about my journey as a piano teacher, and about the inspiration which made me pursue this journey so that you could have an idea, that music is not only my profession but it is the passion of my life that I am living for. As a kid music and the art was the core arena of my interest I was very fond of playing the musical instruments and after my school I used to spend almost my complete day indulging in the musical instruments, as the life kept passing on my interest in them began to rising particularly playing the piano suited my core interest and with that intensive interest I kept moving on to that direction along with my studies. Today playing piano is not only my profession but is the part of me to that extent that I do not go without it even for a single day. I adore this noble profession of music teacher I find a great joy in it, and I want to help others also in seeing the beauty of the music and for the fulfillment of the same purpose I am very much keen to work with your institutions. Regarding my educational qualifications I completed my high school from jack and Julian music academy based in New York, and then I had my graduation in the subjects of music and arts from Howard Music College based in Boston. During my graduation days I used to perform at theatres to give an extra exposure to my skills and, some other times I used to play piano at several other college functions, and I have been awarded with many prices from my college and was also acknowledged for my performance at theatres. I worked as a theatre piano artist even after my colleges. I collaborated with a local music composing band known as next street boys, the band basically used to produce music and I used to provide the main piano theme to the music of band, I worked with the band for around one year and later then signed off from the band. After working as a theatre piano artist and having an exposure with the music band, I wanted to work with some formal educational environment since I wanted to enrich my profile into that direction in order to have a secure future prospective, and for that purpose I came to know about the Liberty music school from one of my school mate as he was already working there. So I signed up there for the job of a piano teacher and started working as that it was such a beautiful working environment and future prospective there for a teacher. I worked with many prominent co-music teachers there and learnt a lot from them, as a piano teacher we used to interact with several kinds of students and other music enthusiasts. As a piano teacher or any other sort of music teacher when you interact with different kind of students for teaching purpose that interaction provides you a mindset full of music perspective and that perspective helps a teacher a lot in creating a better and best kind of piano music themes so as a teacher you do not only teach rather you also get a lot to learn from that harmony of music which comes when there is an interaction between common interest sharing people. There comes a situation when as a teacher you deal with different type of ability sharing students you have to adapt to those changes of teaching the music as per the interest and the convenience of the students and as my experience of piano teacher who is always being around the students teaching and dealing with them I have had all such experience within myself which enables a teacher to deliver the best of himself and teaching or learning is an art itself so a musician who is a teacher itself must be an artist to create and understand the music well. 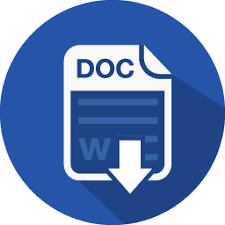 I hope that this of my additional letter explaining my journey as a piano teacher will facilitate you in understanding my whole journey, and I am very much positive to hear from you In this regard further. Thank you so much for sparing you time having a look on my letter.